Good coffee is hard to get... but Starbucks is consistent where ever you find them. 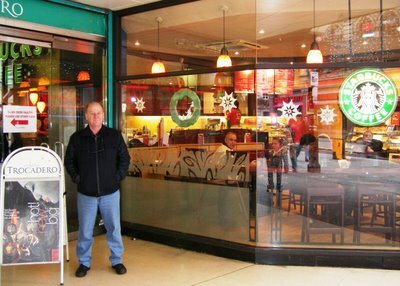 Today I had a coffee at Starbucks Trocadero London... continuing the tradition of trying ever Starbucks I can find in the world. Last year I sampled Starbucks in Times Square, Washington, Atlantic City, Chicago, Singapore, Auckland, Sydney, Melbourne and Perth... to name a few. There are THREE in Upper Street Islington. I beat you didn't know there was a street called "Upper Street" in Islington... did you. Unless you are an Arsenal fan. 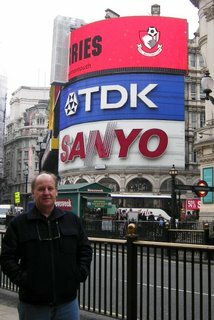 Here I am near the world famous advertising billboard at Piccadilly Circle.